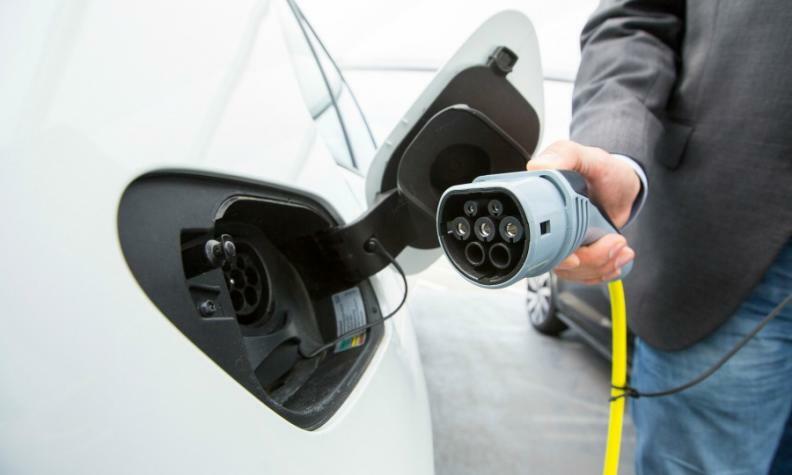 Ontario's Electric Vehicle Incentive Program allows buyers of battery electric and plug-in hybrid vehicles to receive a government-paid incentive worth up to $14,000 depending on the make, model and engine type of the vehicle. Auto dealers in Ontario say they have waited for months for the provincial government to reimburse them hundreds of thousands of dollars in incentives they are owed for selling electric vehicles. The Electric Vehicle Incentive Program allows buyers of battery electric and plug-in hybrid vehicles to receive a government-paid incentive worth up to $14,000 depending on the make, model and engine type of the vehicle. That money is either paid to the customer or the dealership, depending on how the vehicle is financed. The customer can pay full price in cash or through a bank loan and then apply for the rebate themselves, or the customer can assign the rebate to the dealer if the vehicle is financed through the dealership, which is then reimbursed. Several dealerships in Ontario front the money because the majority of vehicles are financed. Now dealers are waiting between three and six months to get their money back, according to the Trillium Automobile Association, which represents more than 1,000 new- and used-car dealers in the province. The association wants the government to speed up the processing of the rebates. That’s the case at Barry Cullen Chevrolet Cadillac on Guelph, Ont. “We usually handle it, and the reason being is that a lot of people are financing. How many people can wait around for $14,000 for six months?” said Robin Pawlak of Barry Cullen Chevrolet Cadillac. But in fronting the rebate money on electric vehicles like the Chevrolet Bolt and Volt, the dealership is currently owed $462,000 and the government is only now processing rebates from sales made in March, Pawlak said. “We can be doing other things with that money, like paying down debt and not paying interest. It is costing us money. But we made the decision to service our customers and do it for them,” Pawlak said. Ministry of Transportation spokesman Bob Nichols said the province is aware of the delays and cited a “significant uptick” in rebate applications as the reason. “We are aware that application processing timelines are longer than anticipated, delaying us in providing incentive payments,” Nichols said. “We are working as quickly as possible to improve processing times in order to meet program demands. TADA and Pawlak are glad the province is attempting to improve the process. “Transportation Minister Steven Del Duca has committed to dedicating resources to speed up the process. We are very pleased by this development and look forward to working with him and his staff on this issue,” Notte said. Pawlak said the provincial program is a good and successful one, but remains understaffed. Since July 2010, the province has provided incentives worth almost $74 million to support the purchase of close to 8,700 vehicles, through the Electric Vehicle Incentive Program.